Cobb Egg Salad is your new favorite way to eat eggs, starting now! 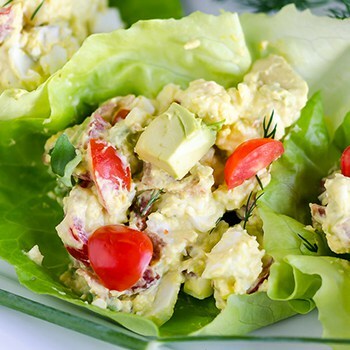 It has all the goodness of a Cobb salad built into this yogurt-based egg salad. There are two things in my house that I can barely keep stocked. Eggs and yogurt. We go through about three quarts of Greek yogurt in a week. And, I love that because it’s so good for you! Greek yogurt has twice the amount of protein as most regular yogurt. It’s made by straining yogurt to remove the whey. The result is thicker yogurt, less sugar, less carbs and more protein. Eggs are the other thing we go through like crazy. I am talking 6-7 dozen per week. 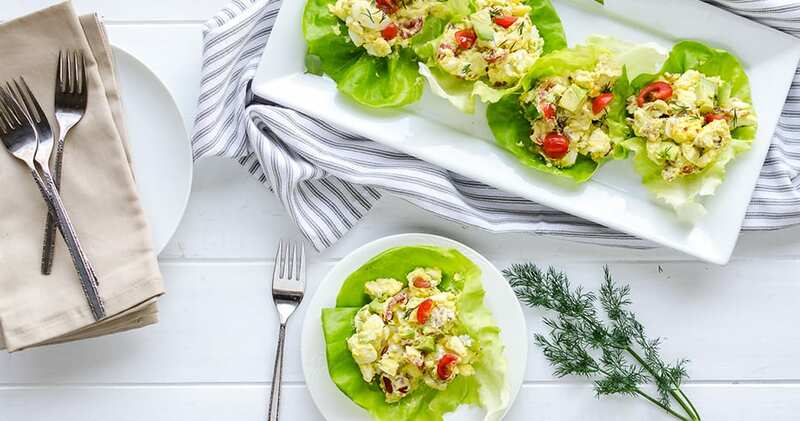 And now that we are in love with this Cobb Egg Salad, (which uses both ingredients) we just might be eating even more – if that’s humanly possible. Let’s start with the dressing, it’s homemade, and you’ll probably never buy store-bought again (just sayin’). A few ingredients and two minutes is all you need. The star of the show is Greek yogurt. This adds even more protein to your dish, and it lightens it up a bit. I actually sub Greek yogurt often for oils, mayonnaise, or creams. Click here for my pro tips on how to make the best hard-boiled eggs in your Instant Pot, and for my hack on how to cut down on time chopping all those eggs for the salad. With a spoon! Seriously, though, it’s delicious alone. On lettuce cups as I’ve shown in this post. This is a great low carb option! On a yummy hearty whole grain bread, toasted. This is a perfect recipe for your Easter table, Mother’s Day brunch, or truly, any time of the year. Chellie Schmitz resides in Michigan and is the author, photographer, and recipe developer behind Art From My Table. 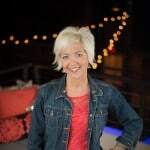 She’s passionate about real food and the family dinner experience. As a mom of four children, she understands the dinnertime dilemma. She makes nourishing food easy and delicious.